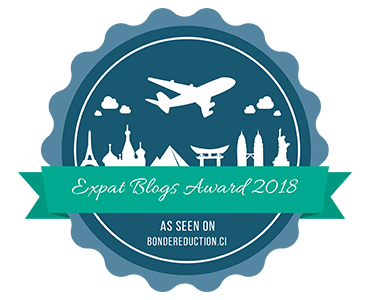 Expat : A person living in a foreign land and anything pertaining to life as an expat. -orama : A handy bit you can add to the end of a word meaning “wide view of” or “spectacular display of”. My wide-view-of-expat-life credentials include stints living in Lagos, Istanbul and a current, ongoing posting in Johannesburg. I am also a former (and this is a label deeply loath) Expat Brat. My parents clocked up nine countries over a quarter of a century. At some point during these formative years when I was cutting my expat baby teeth it seems I also caught the Travel Bug. It causes Itchy Foot Syndrome, a condition that stays with you for life, usually raising its’ pesky head, just as you’ve unpacked that last box. Having already caught the bug, my fate was sealed the night I met Mr Incredible, (now my charming husband). I asked him what he did for a living and got a cocky answer along the lines of “In a nutshell, I build power stations in Africa.” Sold! I’m kidding, I actually married him because he had such a cool surname. I’m mostly kidding. I’ve got some far fetched, but completely true tales to share with you. From dodging stray bullets in Lagos, to dodging stray cats in Istanbul, we are now getting cosy in Jozi. I have to confess, it was actually only ONE stray bullet that I dodged in Lagos. I was really and truly sitting in the car though, just a metre or so from where it punctured the bonnet. I was on my way to an exam where being a) foreign b) female and having c) a fully equipped pencil case were all a great novelty to the other candidates. Even the exam moderator was keen for a big of a chinwag before we started and was quoting Shakespeare AT me as I was desperately trying to stop all the last minute facts and figures from leaking out of my brain before it was time to pick up a pen and transfer them onto the exam paper. Anyway, back to dodging that bullet. We (the driver and I) were hurtling along a flyover and I had my nose planted in a textbook trying to memorise all the formulae I should already have known. My cramming was interrupted by a loud crack. I remember thinking that an unusually large stone must have been churned up from the road and hit the car and looked up to see whether or not we still had a windscreen. I also remember our driver looking shifty, but then he was a bit shifty. When we finally left Lagos I was weeping at the airport and my parting words to him were “Look after your family”. I didn’t mean, steal the company car, sell it and disappear with the cash, but that’s how he interpreted it. In this instance I think he looked shifty because he had guessed what kind of projectile had hit us and was desperate to get off the flyover and under the bonnet to check on the cars’ vital signs and prognosis for getting back home again. We were in the back and beyond of uncharted Lagos, so it wasn’t as if we could easily hop on a bus to get home if there was a mechanical failure. That could have been quite some adventure, but thankfully the damage was superficial. The Bullet I Dodged. A strange memento, but a reminder to pack as many adventures as possible into life. The bit about dodging the stray cats in Istanbul is entirely true. I really did avoid them, lots of them, all of them. I’m horribly allergic, so primarily it was a self-preservation tactic. It’s also true that we are now getting cosy in Jozi having moved to Johannesburg mid 2013. 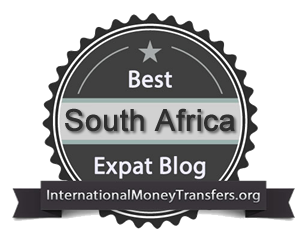 Starting from childhood days in the lowlands of Holland to the present day up on the Highveld here in Johannesburg, I have some fairly solid experience to pop on my expat CV. Experience gained, includes both the air conditioned, smooth-as-a-baby’s-bum type, where I learnt from somebody else’s mistakes and by the by-the-seat-of-my-very-own-pants type, where I learnt from my own. Anyway, stick with me folks (best way to do that is to like my Expatorama Facebook Page or kindly pop your email address in the ‘follow this blog’ box on my home page). So, let’s get on with the journey. My travel companions are Mr Incredible whose job dictates our location, our daughter Sweetpea, our son Pickle and our dog, The Cheese Thief. This nomadic existence can make you cry or it can make you laugh. I mostly choose to laugh and hope you’ll laugh too, sometimes with me and probably sometimes at me. Enjoy! I’m going to enjoy following you. You write so well! Loved the tale of the bullet. Thanks for the encouragement Georgie. Drop me a line when your blog is up and running and I’ll swing by for a peek. Hi! I’m happy that I found your blog! I loved the post about “one in a million”, your mom was so brave to move to that island. Looking forward to follow your stories. Thanks Bellamonte. So pleased you’re enjoying the blog. I’m not sure how I’d fare on a tiny lonely island, it wasn’t the easiest 2 years for my mum, but she’s a resilient lady.